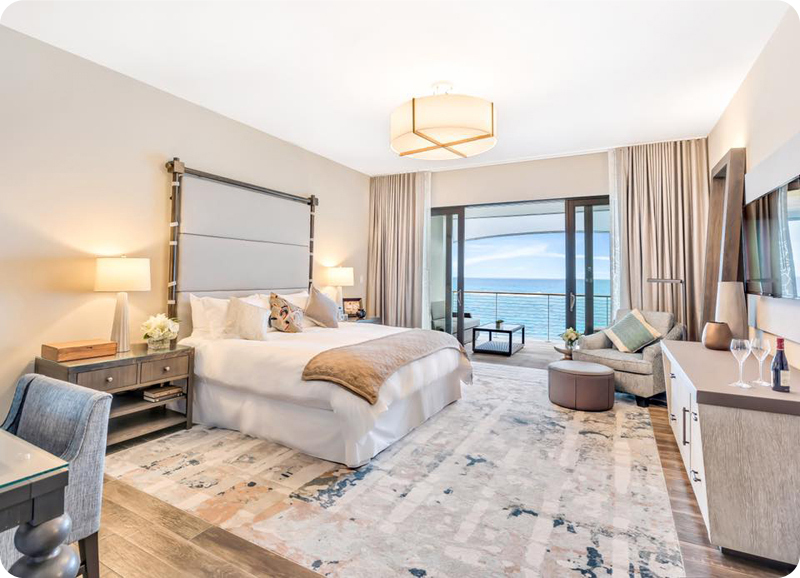 Bermuda’s hotels rank as some of the very best in the world, offering up a perfect blend of cozy accommodations, beautiful scenery, and service that will leave you feeling as if your every need is being taken care of. 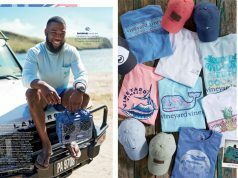 As Bermuda is a premium destination for visitors, the many hotels scattered around our island take their commitment to making each and every stay the most comfortable that it can possible be to an extreme level, with every single detail, from location to amenities, taken well into account. Since 1885, Hamilton Princess & Beach Club has reigned as Bermuda’s “Grande Dame” and has been a symbol of all that Bermudians hold dear—courtesy, hospitality and quality with an unequaled sense of style. An architectural treasure on Hamilton’s harbourfront for more than 125 years, the hotel continues to host royalty, world leaders and dignitaries, celebrities, business travelers and visitors from around the world. 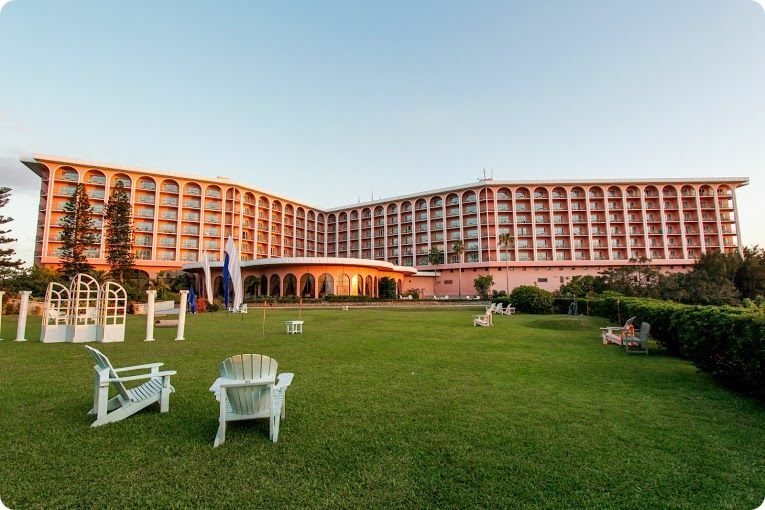 The recently renovated Hamilton Princess & Beach Club offers 410 elegant guestrooms, including 43 suites, and more than 30,000 square feet of versatile indoor and outdoor reception and meeting rooms in a peaceful paradise. 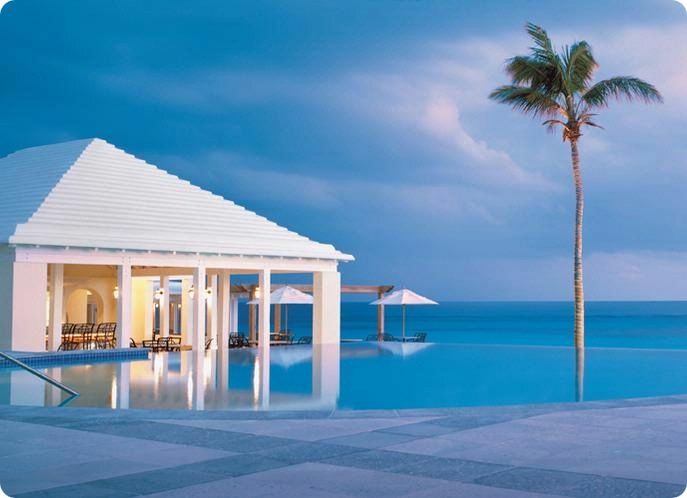 Perched on Bermuda’s stunning south shore with miles of pink sand beaches, the luxurious Fairmont Southampton beach resort sits on nearly 100 acres, dotted with lush bougainvillea and towering coconut palms. 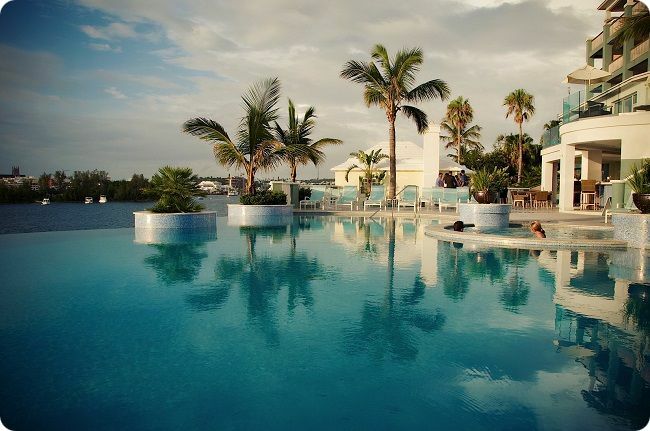 Conveniently located in the mid-Atlantic, less than a two-hour flight from most east coast gateways, this Bermuda hotel is perfect for Atlantic vacations, getaways, meetings, and events year-round. Cambridge Beaches Resort & Spa is the island’s first cottage colony and one of the oldest resorts on Bermuda. In fact, their property was a pioneer in cottage-style accommodations, which have been adopted by other popular resorts. The Cambridge property even includes a restored cottage that is 300 years old. Over the years, they’ve named many of their accommodations after cherished return guests. This serves not only as a connection to the resort’s past, but also as a reminder of the high standards that they wish to continue to uphold. They’re proud of our growing number of repeat guests and they show our appreciation by placing the name of those who have stayed with them at least five times on our repeat guest wall. 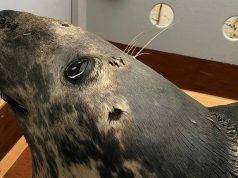 So far, the record is 85 visits, proving just how appealing their accommodations really are. Cambridge Beaches is an adult only resort, and caters to guests age 16 and over. 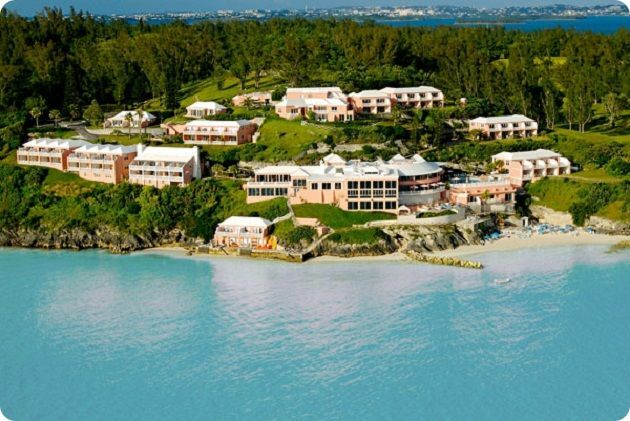 This beachfront resort is situated in extensive, manicured gardens on the breathtaking south shore of Bermuda. Coco Reef is on Elbow Beach, yet only 5 minutes from the capital city of Hamilton. 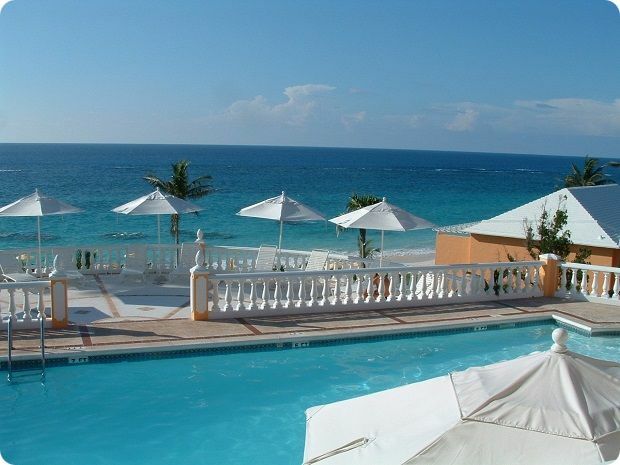 Recreational amenities at Coco Reef Bermuda include a private beach and an outdoor pool. 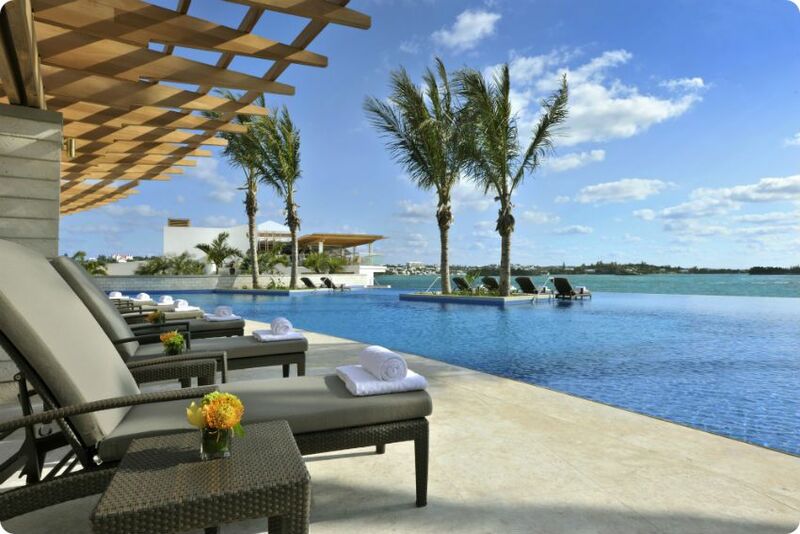 Other amenities include a restaurant, a bar/lounge, and a poolside bar. Guestrooms have balconies, complimentary wireless internet access, and premium bedding; rooms also include refrigerators, coffee/tea makers, and shower/tub combinations. The Grotto Bay Beach resort sits on a lush tropical estate featuring dramatic caves and acres of woodland preserves along the waters edge in Bailey’s Bay. Scattered over 21 acres and sloping down towards the waters edge and three private beaches are 11 brightly colored, cottages in traditional Bermudian architecture overlooking the turquoise waters dotted with small islands. 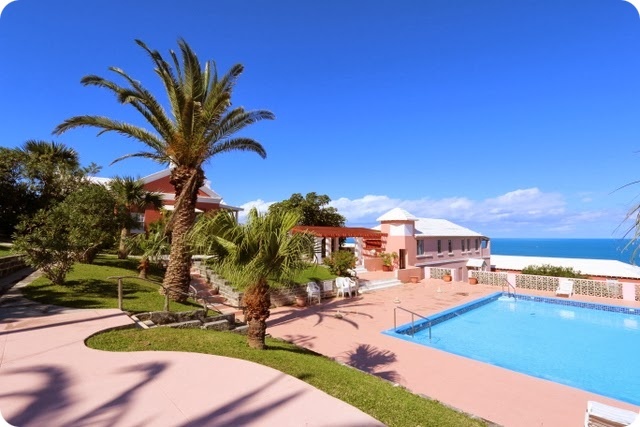 The Hamiltonian Hotel and Island Club is located atop Langton Hill, providing visitors with an unbeatable view of the entire chain of Bermuda Islands, with especially attractive looks at Pembroke Parish, the island’s capital city of Hamilton, and the North Shore. This resort offers 32 one-bedroom suites, each with a beautiful ocean view. All visitors enjoy access to a full-size pool that overlooks the Atlantic Ocean, with tennis courts on site and golf courses not far away. Overlooking picturesque Hamilton Harbour, the Newstead Belmont Hills Golf Resort and Spa is the sparkling jewel of luxury resorts in Bermuda. Their unique all-suite property sets itself apart by blending magnificent resort amenities with the personalized service of an intimate boutique hotel. Boasting unmatched access to Bermuda’s natural and historical attractions – on both land and sea – the Newstead Belmont Hills is a splendid gateway to just the Bermuda you came to discover. Whether you are looking for a family holiday, Bermuda golf vacation, honeymoon getaway, a place to relax with your significant other, or just some fun in the sun, the Pompano Beach Club offers the intimacy of a boutique hotel and the amenities of a world class beach resort. 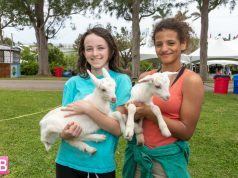 Pompano’s spectacular waterfront is the only one of its kind in Bermuda, attracting beachgoers, snorkelers, water sports enthusiasts and swimmers of all ages and abilities. The Port Royal Golf Course – Bermuda’s best and most popular public course – is right next door! The Rosedon Hotel is a charming, intimate, Bermudian boutique hotel, centrally located within walking distance of our capital city og Hamilton. Surrounded by lush tropical gardens, the hotel’s private pool offers a quiet place to relax and gives one the feel of being in a country estate. Rosedon has an excellent reputation with a strong repeat guest following. 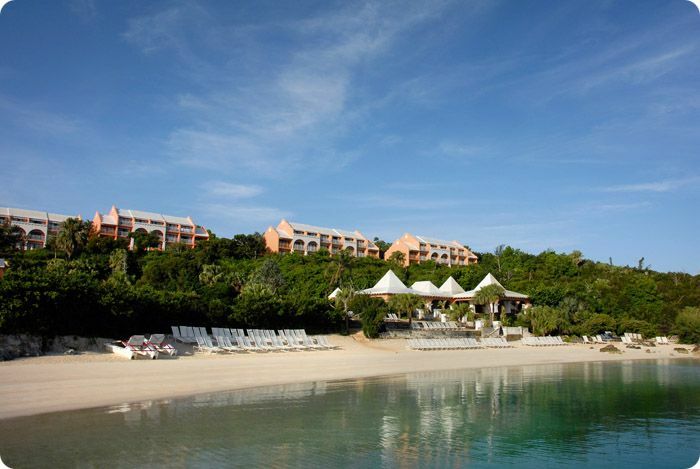 Choose to get the real feel of Bermuda by being spoiled by their long-serving Bermudian staff. 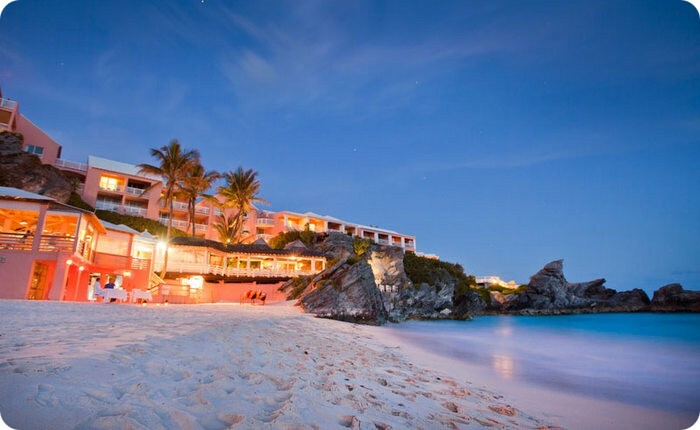 The Rosedon Hotel is a uniquely Bermudian resort that offers a uniquely Bermudian experience. 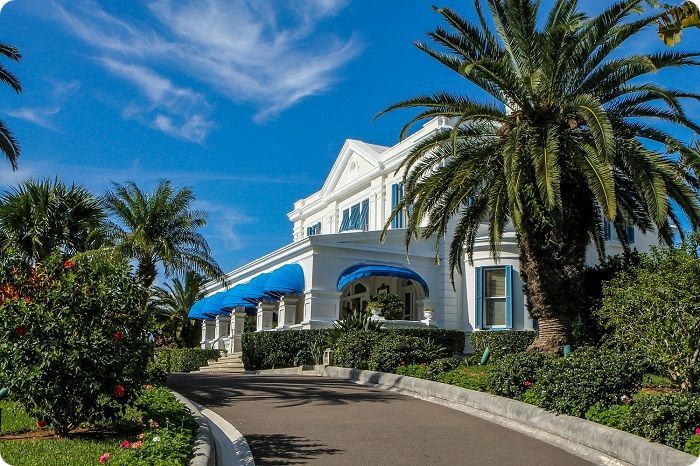 Ideally situated minutes away from the city of Hamilton, the Royal Palms is a boutique hotel that blends Bermuda’s trademark British charm and hospitality with beautiful colonial architecture. Guests stay in two pink, 19th century manor houses, nestled in lush gardens, where visitors enjoy access to a private pool and sunbathing area. Each of the 32 non-smoking rooms are unique, with the same attention to detail extended to each one. Royal Palms is also home to Ascot’s Restaurant. Find new heights of luxury in The Loren at Pink Beach. A collection of 45 suites, this luxury boutique hotel merges sleek and modern design with a simple, understated aesthetic. 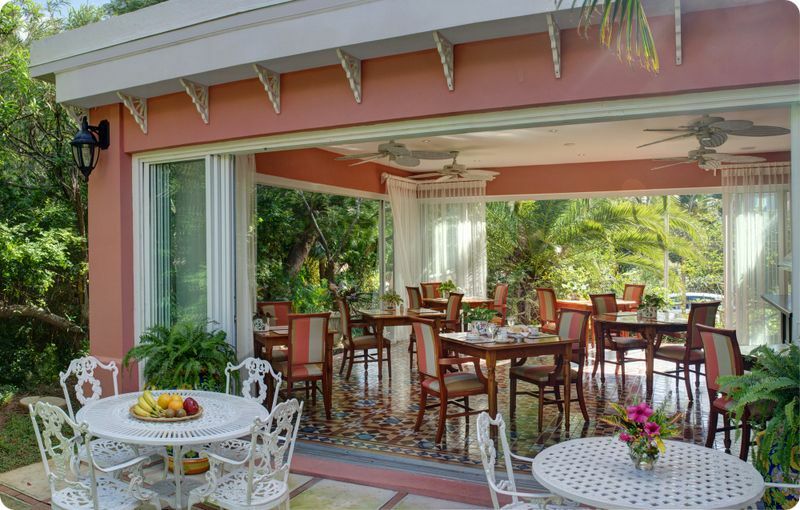 The Loren’s rooms, suites, and villas are elegantly European-inspired yet unmistakably Bermudian in spirit. Crafted to immerse guests in the beauty of this oceanfront setting, each room opens into a private balcony overlooking the Atlantic Ocean. An intimate upscale Bermuda resort focused on four-diamond personalized service, The Reefs Resort & Clu bpresents classic sophistication. Recognized for gracious hospitality, this family-owned cliffside resort overlooks a pink-sand beach and boasts breathtaking ocean views. 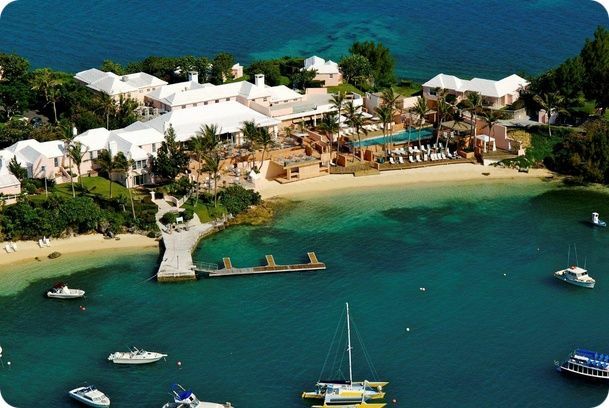 A top rated resort among travelers within the Caribbean, Bermuda and the Bahamas, The Reefs Resort & Club welcomes loyal clientele year-after-year with distinctive experiences and timeless luxury.